Location was awesome. Old town was so cute. No cars which was cool. A little noisy at night with the restaurants and bars below, but with the window shades and fans it was no problem. We VERY much enjoyed our stay. It felt like a little quaint apartment home away from home. Small store nearby to buy some basic groceries, shops, and close to La Concha beach and hike up the mountain with amazing views from the top. Host met us quite late for check in. Great location. Very central. Next door to all the main attractions. Great stay at Holly with our 3 young children. Location is fun and convenient, Sat night a bit noisy but didn't bother us. Comfortable and easy, all you need. Bakery just outside and fab food and beautiful beaches a few steps away. 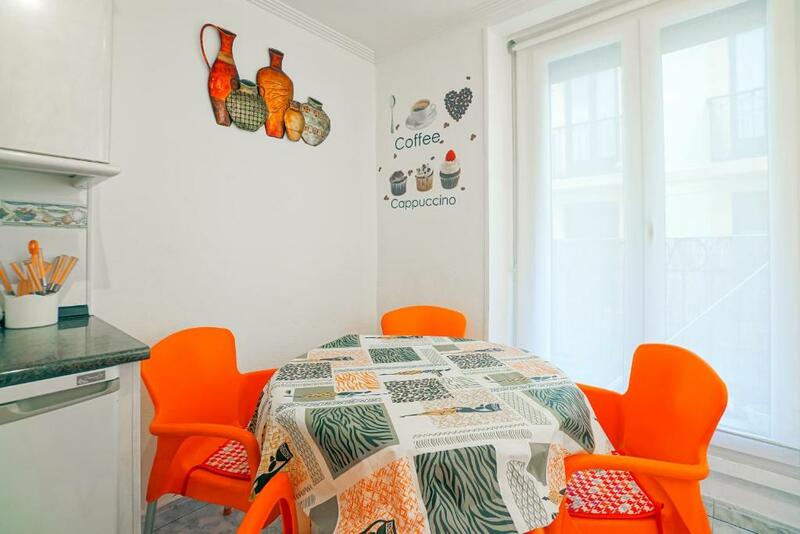 Location in the middle of the pintxos area, yet close to the beaches and shopping. Very spacious apartment for two. The location was great and the apartment was good for our type of stay. The bed was extremely comfortable and, except for the Friday night, the sound from the street below was not an issue. Apartamento muy muy limpio. Tienen mantas y almohadas extras, incluso una cuna de viaje! Cocina equipada a falta de horno. Es un primero sin ascensor pero de escaleras fáciles y anchas. Epicentro de los pinchos!! 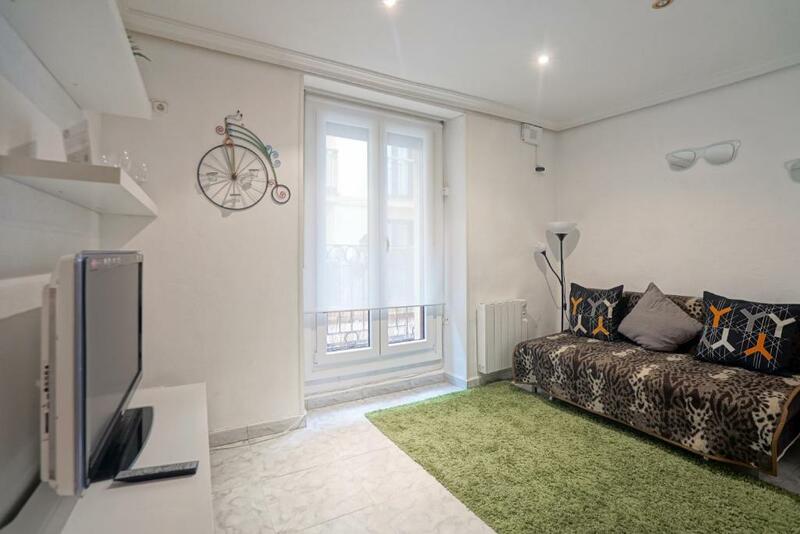 Très bel appartement, avec deux coins nuits bien séparés, parfait pour deux couples. Appartement très bien situé, dans une rue très animée notamment le soir. 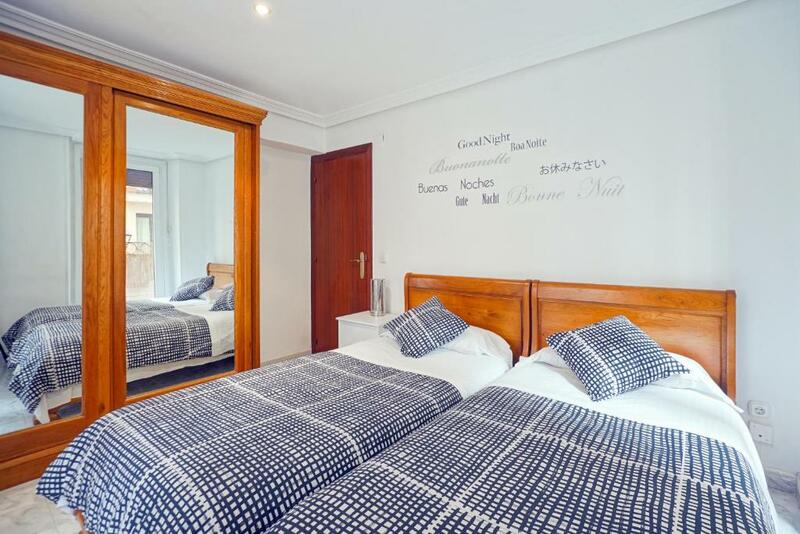 Located a few steps from Calle Mayor and a 13-minute walk from La Concha Promenade, Holly has accommodations in San Sebastián. Complimentary WiFi is provided. 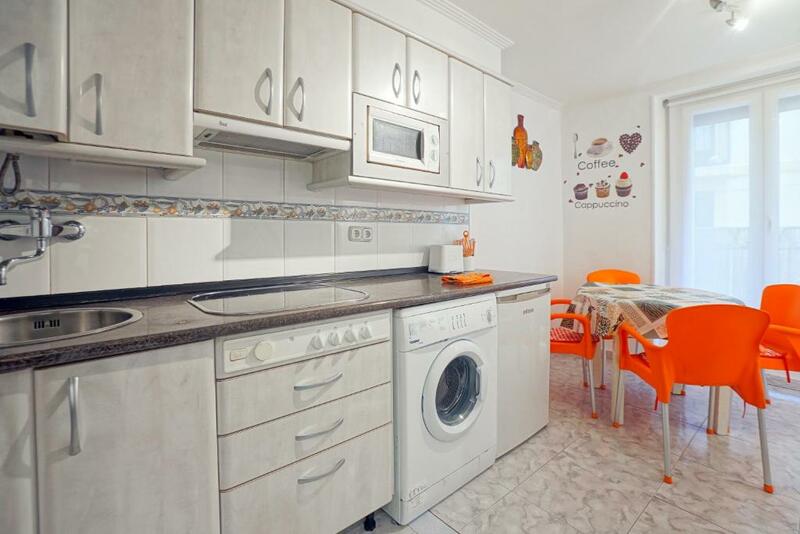 There's also a kitchen in some of the units equipped with a microwave and toaster. Victoria Eugenia Theater is 0.7 miles from the apartment, while Old Town is a 14-minute walk away. 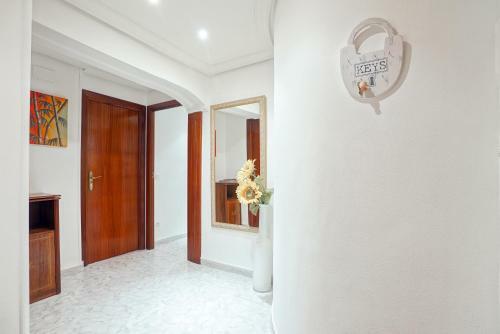 The nearest airport is San Sebastián Airport, 14 miles from the property. When would you like to stay at Holly? House Rules Holly takes special requests – add in the next step! Holly accepts these cards and reserves the right to temporarily hold an amount prior to arrival. Please inform Holly of your expected arrival time in advance. You can use the Special Requests box when booking, or contact the property directly using the contact details in your confirmation. Was very noisy. Sound travels from the streets. Can hear people and the clubs down the street. Were kept up till 4am. Woken up by crying kids at 7am. Bring ear plugs. The noise at night was the only thing I could really comment on as a negative. It was a small place but just as we expected. It was clean and nicely decorated. Keys were easy to get and leave when we departed. Great overall stay! Agent didn't reply to texts, was late to meet for key handover. Apartment was not particularly clean, noisy outside until 5am. Perhaps I missed something in the information, but I did not realise that Holly was a "stand alone" apartment rather than in a set of apartments in a complex. Therefore we had not made direct contact with the owner and there was no-one there to meet us - just a blank wall with buttons that no-one replied to. We had no phone communication, but relied on a helpful girl in the café across the road to phone for us. Once that link was made, things went smoothly. Clearly the apartment was already worn out; and if you are a bad sleeper, the noise from the restaurants may keep you awake. Noise on the street No soundproofed..